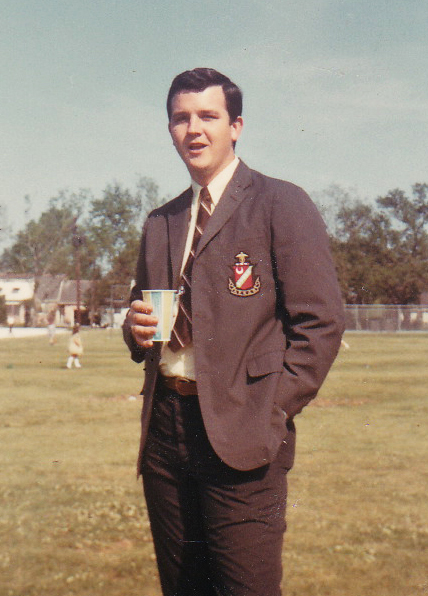 In the fall semester of college 1965, I made a decision that has changed my life forever—and for the better. I made a whole bunch of new friends and had wonderful experiences with them I would have never had otherwise. I pledged a fraternity—Epsilon Chi Chapter of Kappa Sigma, to be exact. This was at the University of Southwestern Louisiana (USL), which is now called the University of Louisiana at Lafayette (UL). I began that session with no thought of joining a frat, but my neighbors at our new off-campus apartment were all Kappa Sigs and recruited me and my two roommates. I am thankful they did. I “went active” in the winter of ’66 and finally graduated in ’68. Of all my college experiences, those three years were the best. I made friends that I still have contact with. Some stood in my wedding, and I stood in theirs. While those were fun times, they eventually came to an end with graduation. Many of us went off into the military, marriage, and jobs after leaving school, and many of us lost contact with most of our brothers. Fifty years later, an event changed that. A brother, Bo Cooksey, was about to pass with cancer, and some of his Kappa Sig brothers reached out to others from Bo’s era for a party in Lafayette. About thirty-five brothers from that period were located and able to come, some from far away states. It was a wonderful time in spite of the reason for the gathering. It stirred in us the need to not wait again until one of us was dying before getting together again. A reunion sprang from that. A year later 102 brothers from the 1960s were found and able to attend a reunion in the Alumni Center at UL. In the process of searching for all these brothers, we discovered that thirty-seven of us were deceased already, which isn’t surprising, considering we were all in our mid sixties–mid seventies. Some died of diseases or accidents—and even Vietnam—many way too early in life. It was a gathering with laughter and tears, and it will go down in my memory among my fondest. Yes, a few of us might have gotten a little snockered (not me). Many old tales were recalled, but the truth was never allowed to stand in the way of a good story. David Coughlin regaled us with his memories of the “Mobile Gross-Out Unit” activated in response to us being put on probation. Yes, we were on probation at least once while I was there. Back then Kappa Sigs (on the USL campus at least) were known as the “Animals,” and this was years before the movie “Animal House” came out. I don’t think we were as bad as those guys in the movie, but some might disagree, the Mobile Gross-Out Unit being just one reason for that. The infraction was hazing, which the Epsilon Chi chapter practiced back then. It really wasn’t that bad and prepared me well for my military basic training after graduation, which was a cakewalk after experiencing “Hell Week” as a pledge. What’s my point? We make friends in our travel through the Valley of Death. Sometimes those friendships are allowed to fade away—and we should not allow that to happen. “Friends and Brothers” are too valuable to let slip away. The pic is of me in my Eric “Otter” Stratton pose.